The aims and objectives of the HDA HERTM Training Programme are to equip the delegate with the initial knowledge, understanding and skills required to perform the role of Offshore Helideck Assistant (HDA) safely and effectively. It is to equip Offshore Helideck Assistants with the knowledge, understanding and skills required to perform an emergency response team member role in offshore helideck and helicopter emergencies and practice responding to a variety of helideck firefighting and non-firefighting emergency scenarios in a training environment. The target group for the Offshore HDA HERTM programme is personnel who are to be appointed to the role of an Offshore HDA. 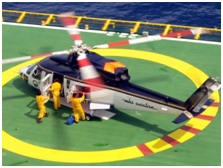 Understand typical hazards associated with offshore helideck operations. Define the role of the offshore HDA. 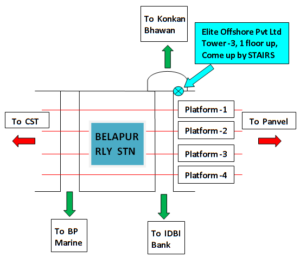 State typical routine helideck and helicopter operational procedures prior to landing, helicopter on deck and helicopter take off. Use handheld radios correctly, complying with radio communications protocol. Assist HLO with communication checks, checking helideck equipment status, safety nets, security and stowage of helideck equipment. b) Load and unload helicopter freight correctly – using correct manual handling techniques and within helicopter freight loading limitations and requirements. Comply with helicopter danger areas rules. Assist with passenger safe egress and access on the helideck, to and from the helicopter. Define the key role and key responsibilities of the HDA HERTM. State the main elements of helideck emergency response plan. Identify types of potential offshore helideck emergencies. State the general firefighting safety goals and objectives. Explain the purpose of typical helideck emergency systems and controls. Explain the main differences between helideck emergency response on a main fixed or floating installation and a normally unattended installation (NUI). Communicate effectively with HLO and team members. Respond appropriately to HLO direction in emergencies. Under direction from the HLO: approach the incident area in a controlled manner – continually assessing how the changes in the emergency could impact on the safety of other HERT members. Conduct BA operations in accordance with HLO directions and safe practices. Conduct firefighting operations effectively using fixed and mobile equipment. Update HLO on progress against the plan at appropriate times. Under direction from the HLO: respond to non-fire helideck emergencies. Conduct effective search and rescue for missing persons and casualties during the emergency. Work with ER back-up team when required to do so. Report to HLO any human factors that may affect individual or team performance during the emergency (Team Learning Objective). Techniques for keeping calm during an emergency response. Asking for assistance if overwhelmed by the emergency situation. Effective communications with HLO and other team members – clear and concise communication. Updating HLO on progress against the plan. Effective execution of emergency response tasks. Conducting helicopter incident firefighting operations. Correct use of breathing apparatus (BA) when instructed by HLO. Conducting effective Helicopter/helideck SAR techniques. Responding to non-firefighting operations during a helicopter incident. Effective use of fixed and mobile firefighting systems.